From the moment you walk into this expansive home, you will notice the vast wide open spaces,soaring ceilings, & larger than normal living areas! Come in, bask in the cool breezy air, kick your shoes off and call this 4 bedroom/ 3 bath sparkling pool home YOUR OWN! With NEWER air conditioning system, porcelain flooring, padding and carpet, partial bath renovations, new septic field, re-plumb and BRAND NEW stainless steel appliances, the rest is a piece of cake to be able to customize, own and enjoy the amenities such as sheer location, education options, and proximity to International Drive, the Convention Center, Sand Lake Road, OIA Airport, Walt Disney World, Universal Studios/Volcano Bay and The Grove Orlando at Isleworth. With a SUPER LARGE BACK YARD, and an extra large entertainer's-sized pool lanai W/paver decking for welcoming family and guests both in the regular and liquid Florida Sunshine! Indoor Washer and Dryer room with newer washer and dryer flanks the kitchen and family room areas to keep all bedroom locations QUIET! 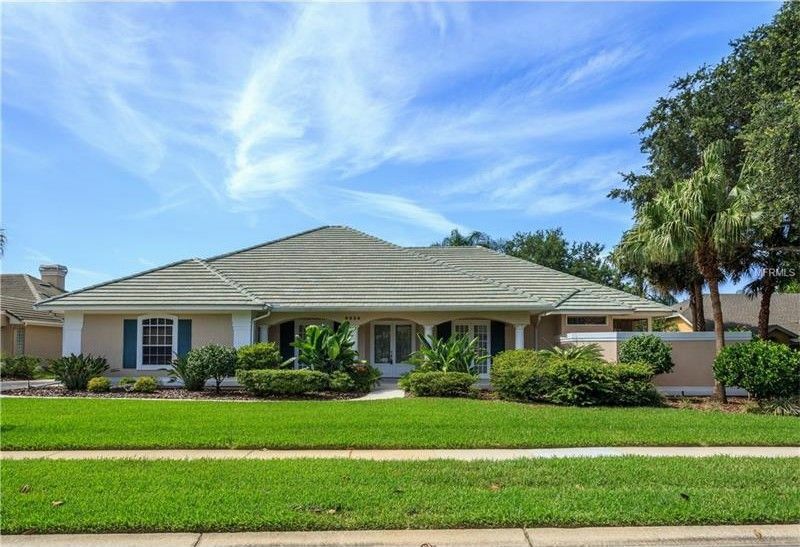 Speaking of serene, this middle of the neighborhood location is peacefully nestled and the property hosts pluses like mature foliage, flowering plants and trees, and citrus for your delicacy and delight! With a 3 car (OVERSIZED GARAGE), a lifetime tile roof, and ultimate selections of gourmet grocers and restaurants along the way, this will be one destination that you just can't wait to get home to!!!! HOME WARRANTY & TERMITE BOND, OF COURSE! CALL NOW! Driving Directions: INTERSTATE-4, EXIT SAND LAKE ROAD RIGHT-WEST. RIGHT-NORTH on APOPKA VINELAND. RIGHT INTO TOREY PINES ON TOREY PINES TERRACE. LEFT ON TIMBERVIEW, RIGHT ON SUMMERVILLE. HOME DOWN ON RIGHT.